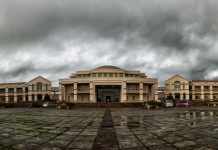 Jharkhand Polytechnic 2019 Application form has been released. Jharkhand Polytechnic 2019 is also known as Polytechnic Entrance Competitive Examination (PECE). And, this examination offers admission to students in various engineering and non-engineering diploma courses in different colleges of Jharkhand. Also, it is a state level entrance examination. And, Jharkhand Combined Entrance Competitive Examination Board (JCECEB) will be managing PECE 2019 / Jharkhand Polytechnic 2019. So, given here are the complete details related to Jharkhand Polytechnic Exams. Latest Update: Jharkhand Polytechnic 2019 Application Form is now available from 28 March 2019. Jharkhand Polytechnic 2019 form date and Jharkhand Polytechnic exam date 2019 details are given below. Firstly, JCECEB will issue the application form through online/offline mode. And, the registration will be started from 28 March 2019. Also, the offline application forms will be available at any nearest Grand / Main / Sub Post Offices of Jharkhand State. Moreover, the aspirants can also download the OMR Application Form from the official website and fill it manually. The candidates applying for the examination need to pay Rs. 800 as application fee (Rs. 400 for SC / ST candidates). Moreover, this application fee can be paid either through online mode (online payment gateway) or offline mode (E-Challan). Note: Candidates should not forget to take a print out of the application form and fee receipts after successful submission of the application form. Nationality Applicants must be of Indian nationality. They must be in possession of a valid Domicile Certificate of Jharkhand State. Aadhaar Card details are mandatory. Age Minimum allowed age limit is 17 Years (as on 1 July 2019) for Mining Engineering. No age limit for other courses. Qualification The candidates must have passed Class X or equivalent from recognised Board / University with a minimum of 35% aggregate marks in the qualifying examination. The students appearing in the qualifying examination are also eligible to apply for the examination. Marking Scheme: Candidates will be given 1 mark for every correct answer and 0.25 marks will be deducted for every incorrect answer. The syllabus will be based on 10th class standard, prescribed by the CBSE & state board. The syllabus contains topics & chapter of Physics, Chemistry & Mathematics subjects. Qualifying Marks: Candidates must secure minimum 35% aggregate marks In the examination. Age Requirement: The minimum age limit should be 17 years as on 1st July 2019 only for mining engineering. Qualifying Criteria: Candidate should have passed 10th/equivalent from any recognized board. 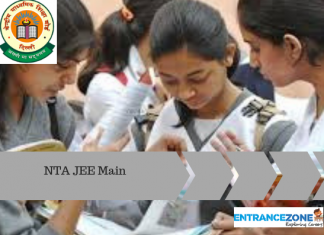 JCECEB Polytechnic 2019 Admit card will be released by the authority on the official website. Candidates can download their admit cards/hall tickets online by entering their login details. Only those candidates who have submitted the application form and paid the fees will be able to download admit cards. Candidates need to carry the admit card to the examination hall otherwise they will not be allowed to attend the examination. JCECEB Polytechnic 2019 Answer Key has been released now. Candidates can download the answer key through online mode. Those who have attended the examination can download the answer key through the website. Candidates were allowed to make an objection against the answer key till 2nd June 2019 (5:00 PM). Through answer key, students can calculate their rough marks whether they have cleared the exam or not. The authority conducting the entrance exam has released the results on the official website. Candidates can check their results from the official website by entering their login details. 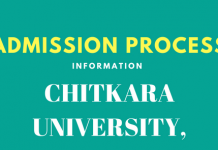 Through results, candidates can check whether they are eligible to take admission into the university. Only the qualifying candidates will be allowed to take part in counselling. Counselling will be done on the basis of the score of entrance exam and counselling. The counselling procedure has already started. Only qualified candidates will be allowed to download their call letter from the website through online mode. Candidates called for counselling have to report on the prescribed date and time at the given venue. If they come after reporting the time they will not be considered for counselling. Note: Candidates must note that the counselling fee is non-refundable. Candidates can pay the counselling fee through Bank Challan, Post Office Challan & Indian Postal Order. Candidates may download the copy of Challan through the website. Candidates can check the counselling schedule on the official website. 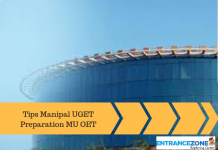 Also, for more updates related to Jharkhand Polytechnic 2019 / PECE 2019, stay tuned with EntranceZone. Jharkhand Polytechnic 2019 date, Jharkhand polytechnic syllabus, Jharkhand polytechnic question bank. See the BITS Pilani Magic at Goa!